An image from the Remembering Our Indian School Days exhibition at the Heard Museum shows children entering a boarding school designed to assimilate Native Americans. Image courtesy of the Heard Museum. In 2000, the Heard Museum opened with NEH support what has since become its most visited and thematically powerful exhibition, Remembering Our Indian School Days: The Boarding School Experience. It was the first major exhibition to explore the complex history of the forced education and assimilation of American Indian children in the nineteenth and twentieth centuries and was conceived as a 5-year installation that would place archival materials, works of art, video, and audio together in an immersive environment. 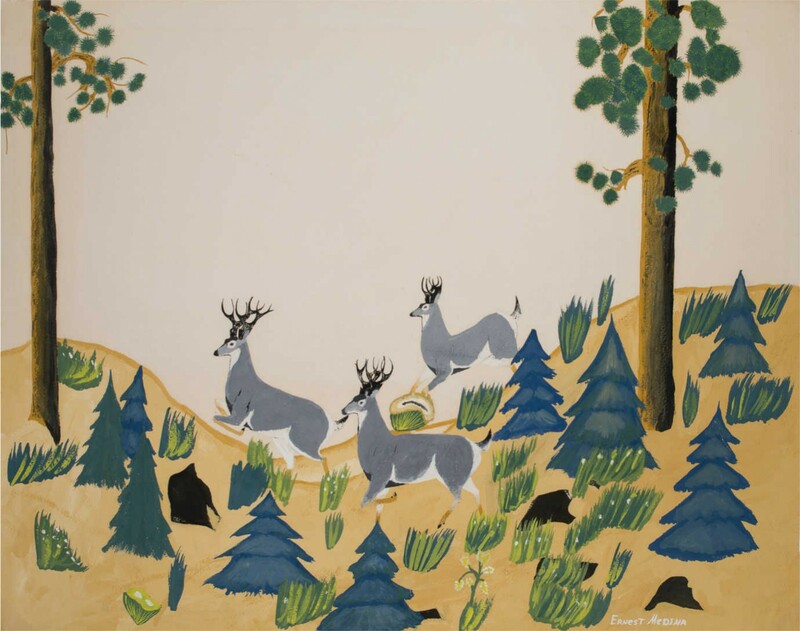 The Heard Museum has selected new works of art for the updated exhibit, Away From Home: American Indian Boarding School Stories. These have been acquired since Remembering Our Indian School Days: The Boarding School Experience opened in 2000. Among these is Albert Vigil's (San ildefonso Pueblo) “Belt Dancer,” a student painting made at age 16 at Santa Fe Indian School, 1943. Gift of Duane and Jean Humilickek. 4460-14. Image courtesy of the Heard Museum. 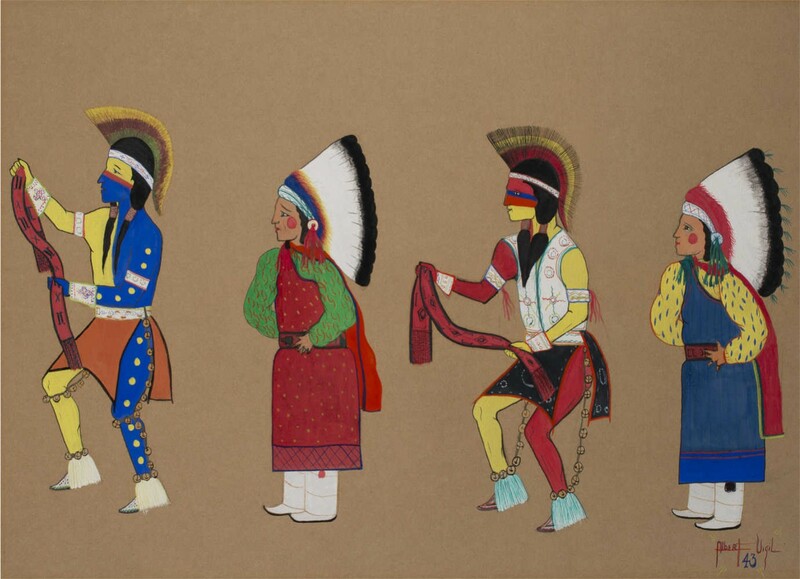 Remembering Our Indian School Days evoked such an enormous response from visitors, nearly doubling the museum’s annual attendance, that it has remained on view as a long-term exhibition. In addition to being a story unfamiliar to most in the general public, it prompted numerous responses from Native American visitors who wished to share their own personal experiences and related material with the museum. The Heard Museum additionally created a traveling panel exhibition, The Boarding School Experience, to help bring this story to new, local audiences. The exhibition features archival photographs, text, and a map. It has traveled to primary schools, libraries, community colleges, and other community centers in Central Arizona and has also been exhibited by the Navajo Nation. 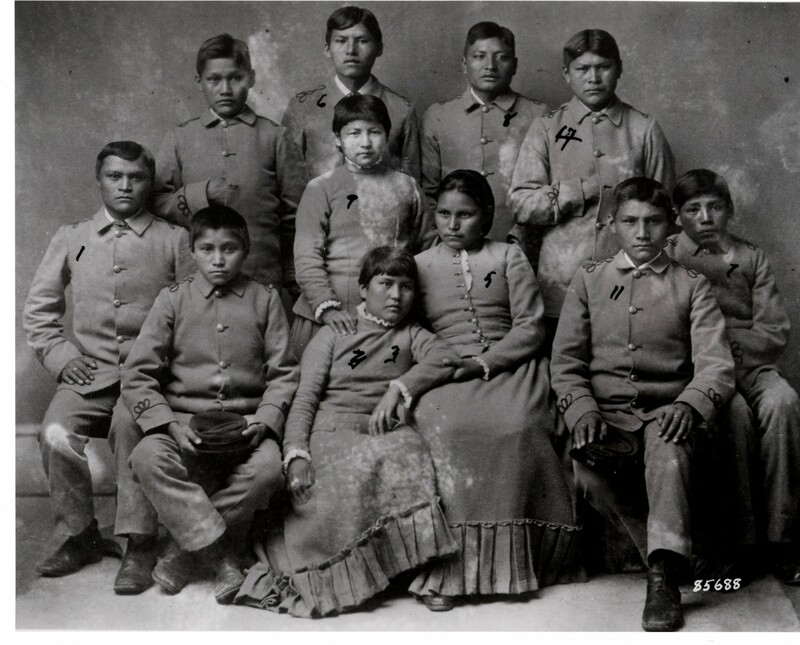 Away From Home: American Indian Boarding School Stories will integrate audiovisual oral histories into its exhibits. Here, Joseph Abeyta speaks about the power of education. Video courtesy of the Heard Museum. Since the Heard Museum opened Remembering Our Indian School Days in 2000, interest in the exhibition and scholarship about this underexplored and controversial period in American history has increased. Recently, the National Endowment for the Humanities allocated funding to update the now 17-year-old installation, incorporating new technologies, stories, and materials and taking into account new knowledge. The revised exhibition, Away From Home: American Indian Boarding School Stories, will open in December 2018.